Google performed this research in collaboration with Ipsos. 2. Those who also own tablets (like iPads) typically will read reviews from these tablets rather then from computers or smartphones due to the size of the screen and the portability of the device. 3. A very strong surge in the use of the smartphones is noted when it comes to contacting the retailer and business from which they buy, which is logic since the natural calling ability (click-to-call) of mobile optimised websites and on mobile ads is very accessible and easy. Main contacts were to check availability of an item, opening hours or driving directions. 4. Compared to the previous year, a survey amongst smartphone and tablet users teaches us that 80% of the smartphone users and 70% of the tablet users used their devices more than the previous year to shop this season. These statistics clearly support the fast growing trend (8 times faster growth than the usage growth of internet in the 90’s) and that it is of primary importance that your business has your own mobile optimised website. 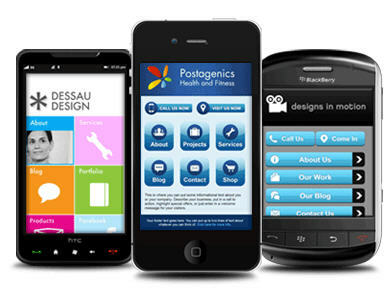 For more information how you can obtain your mobile optimised website, please contact us today. We have early adoptors pricing for a limited time only.